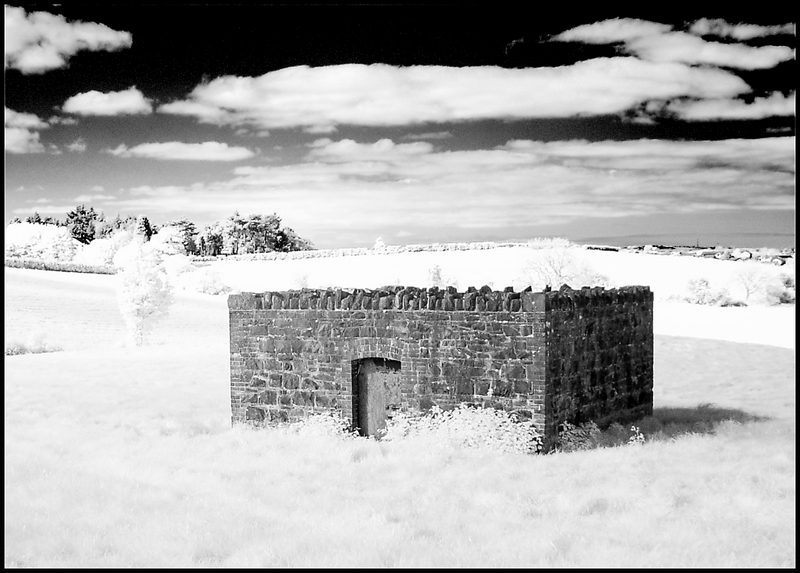 I am not sure how to critique infared images as I have never attempted any myself.Firstly I do like the way they look and can imagine there is a learning curve involved. The first image, the brighter white behind the building catches my eye...not sure if I like it,was it what you were aiming for? I do like the building. The second image, I think possibly showing more sky than the white band/foreground across the bottom of the image. In some of the other images I have seen using this technique there seems to be more changes/subtle differences within the whites...if that makes sense. Thanks for your comments, Mo. I know what you mean about the white foliage, I'm having difficulty retaining detail in some of the highlight areas during post processing even though they were not blown out at the capture stage. I could not imagine that process being very easy with this technique.As long as you are happy with the results that is what counts.I just did not want your posts to be hanging here without comments ...after the hard work you must have put into these. How many images went into #2 ? I looked at these again when I had signed out.I found they "look" too my eyes anyway, slightly different when viewed with the MFlenses gray background...when I am signed in I use the MFblack.The detail in the grass at the front of the building stood out more. Thanks again, Mo. I would like to tell you that shot #2 is a stitched panorama which I spent hours producing, but in fact, it is cropped from one image. It's quite common in IR to find the red channel blown out while the standard histogram suggests nothing is being clipped. If a separate RGB histogram is available it's best to use that. Thank you, I didn't know this. I'll bear it in mind next time.